Today we’d like to introduce you to Hayden Goldberg. Thanks for sharing your story with us Hayden. So, let’s start at the beginning and we can move on from there. I’ve always been a wide-eyed, anything is possible, nomadic soul. My career actually started out in Television & Film, but after realizing the time commitment and lifestyle that avenue would offer me, I opted out. Balance and quality of life have always been of utmost importance to me. We are given the grace of one life here on earth, and I believe it’s for living to its maximum. I never understood how anyone could stay in one place and never leave. The world seemed so vast and intriguing to me, and I wanted the chance to explore it all, meet everyone, see everything- to gain a true understanding of where everyone “comes from”. I truly feel the point of life is to experience and have deep, meaningful relationships. The easiest way to form those types of bonds is through understanding and empathy. I wanted and needed context and knew I could find it through travel and immersion. My travels have taken me all across the globe- North America, Asia, Southeast Asia, Europe, the Middle East. I’ve lived all across the map- New York, Florida, New Orleans, Rome, Maui, Boston and now home in beautiful, sunny San Diego. I’ve always had a knack for sales and marketing, particularly in the travel industry. With that experience, I became an expert trip-planner, down to every last minuscule detail. But, as my life grew older and wiser, the stress and anxiety of a busy schedule began to infiltrate like a cancer. I’ve always been athletic, and needed a physical outlet to relieve that stress. 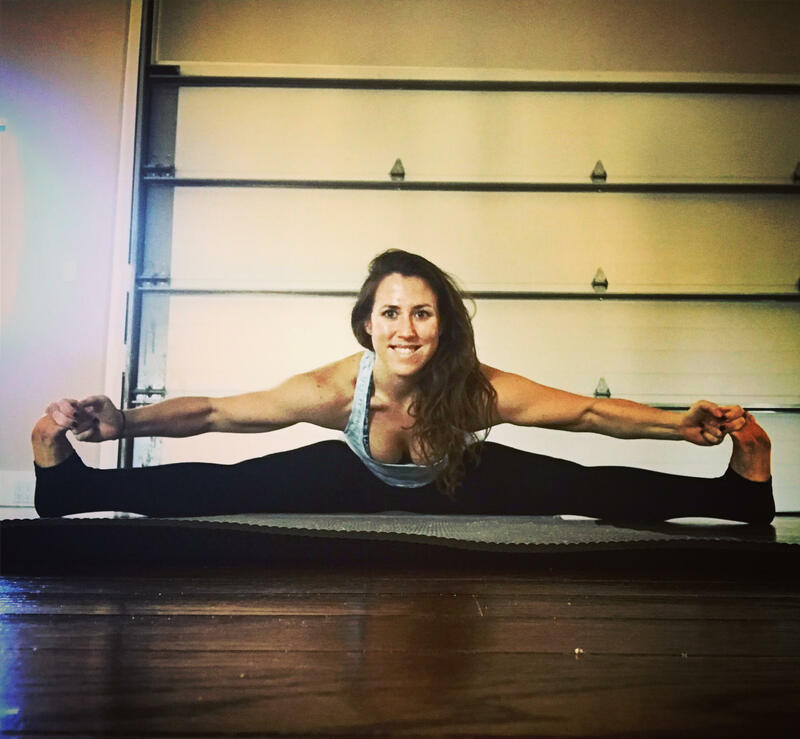 But, when I first found yoga, it didn’t feel like a match. I wanted to sweat and feel like I had actually put in a day’s work at the gym. When I would leave yoga class, I felt like I still had to go for a run. 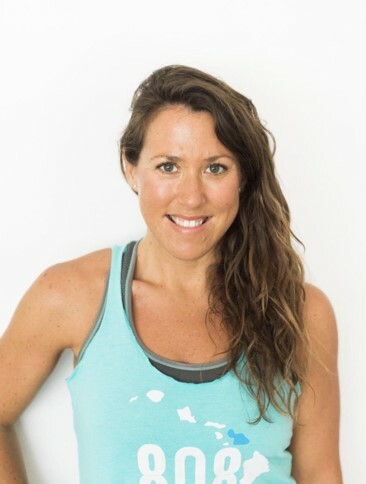 One day, I found hot yoga… and never looked back! Hot yoga provided everything I needed for my mind, body and soul and I was hooked. In 2015, I moved to San Diego to be closer to family. 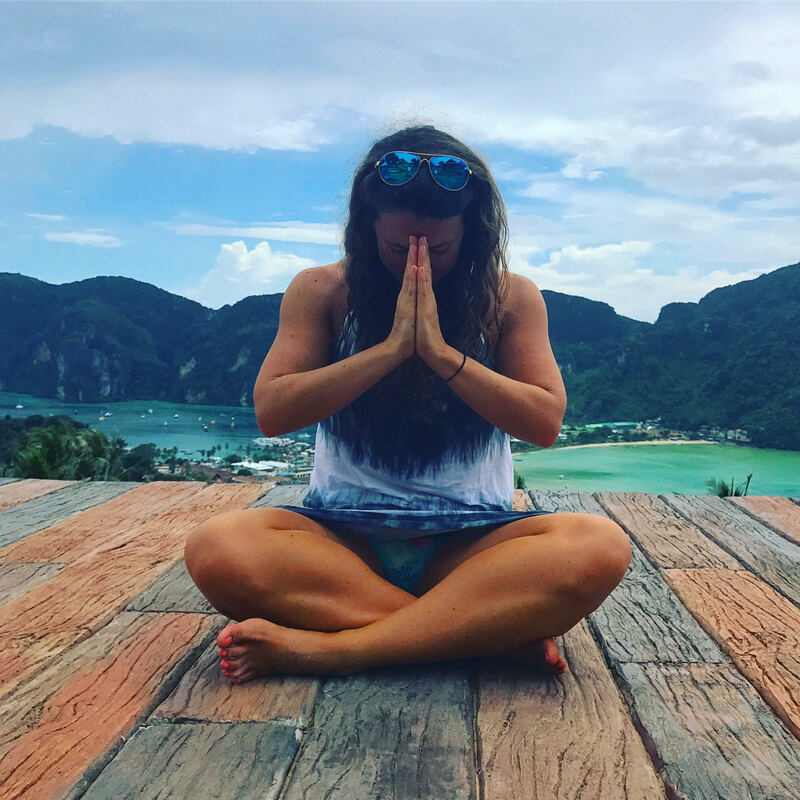 During my first few months here, I took a Teacher Training course and became a certified yoga instructor in a pursuit to deepen my practice and understanding of yoga. Fast forward to 2017, I was feeling stuck and wanted to redesign my life and career to include all of the things that made me happy in any given day. On that list was: flexibility in my schedule, time for my family and friends, ability to travel whenever I wanted, and to be able to practice yoga every day. It occurred to me that during my corporate work career, upon receiving each and every job offer that ever came my way, my first concern was if my yoga class schedule would align with my work schedule. That set off of the alarm. Not everyone has the flexibility in their work day, but I wanted to make sure yoga/meditation were built into everyone’s day regardless of demands of work. Heck, I knew it would be even more necessary for those who were not able to break away from the office! With the demands on employees these days, it’s so vital to give everyone a chance to slow down the mind, re-focus, re-center, and de-clutter: creating a more productive, happy, loyal, rational and effective workforce. 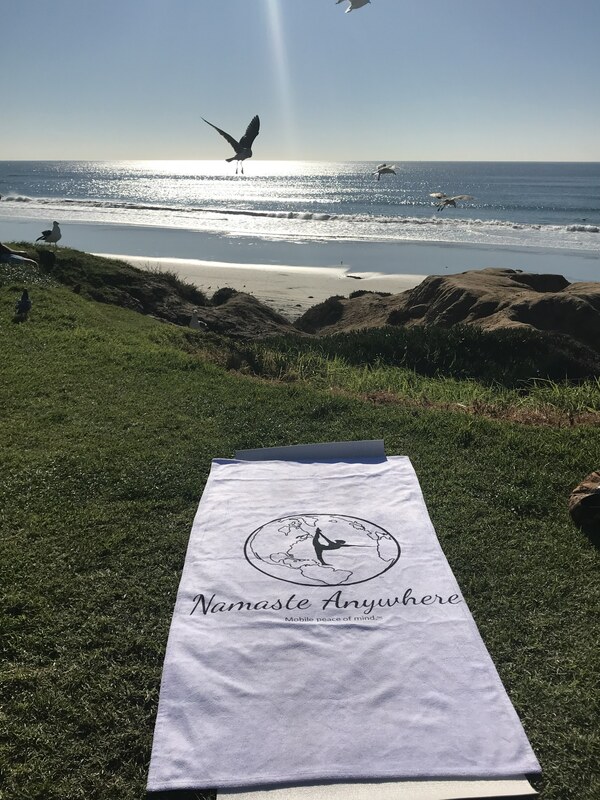 With that, Namaste Anywhere® was born. We bring corporate yoga & meditation classes on-site to businesses in the San Diego area. We also are now branching into international, exotic wellness retreats for individuals and corporations. Who wouldn’t want to decompress and reset in the jungles of Bali for a week?! The biggest struggle I’ve had to overcome professionally has been fear. Fear of judgement, fear of failure, fear of pursuing something that is not considered the definition of “success”. One day it just dawned on me that this is my life, my decisions, my existence, my happiness. Why am I looking outwardly to fulfill myself? That makes zero sense! I used to try to think of all the ideas and jobs that would make me the most money and that I would be really good at doing. But, in actuality, I didn’t really want to do any of those things on a regular basis and definitely not long-term. So, to the drawing board, I went to design my ideal day. If I could design a career around the things that matter most to me and that I am most passionate about, how could that ever fail? Alright – so let’s talk business. Tell us about Namaste Anywhere® – what should we know? At Namaste Anywhere®, our mission is to help make wellness the utmost priority, not an afterthought, in your life. These days our schedules are jam-packed, technology rules, and time constantly feels like it’s running out. We hope to provide some breathing room. A chance for you to step back from the hectic clutter in your minds, in your lives, and just breathe. Be present. Re-prioritize. Reset.™ Earning a living is a reality of life, and with that, at Namaste Anywhere® we feel honored to deliver you a bit of peace into your work day. A healthy mind, body & soul reinvigorates you, those around you, the entire workplace & community. Be kind to yourself and one another. 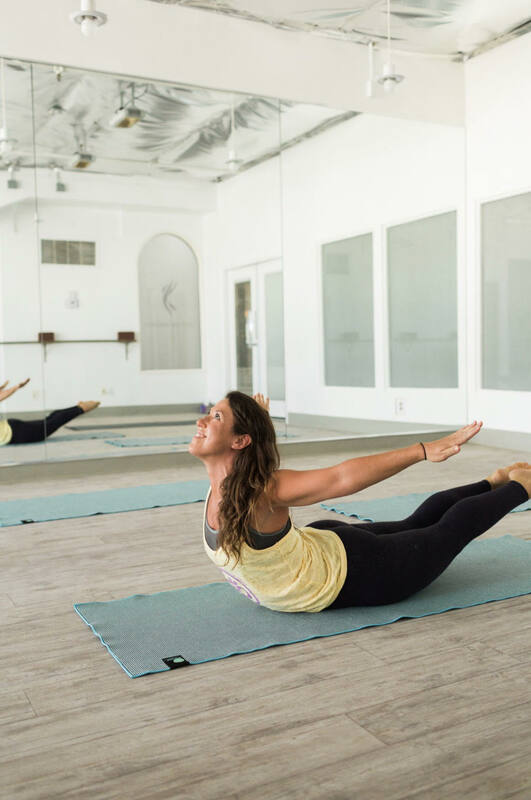 We work with business owners and human resources departments to provide customized wellness programs bringing on-site yoga & meditation classes to the workforce. These programs are designed to increase productivity, decrease absenteeism and turnover, and create a happy, positive work environment. All of our instructors are certified in yoga & CPR and also trained in corporate SOPs. We are now also specializing in international, exotic wellness retreats for individuals, or customized corporate outings (www.namasteanywhere.com). Authenticity. At the end of the day, I believe all connection- personal, professional, or otherwise- is formed through authenticity. Why would you ever want to put on a mask? Be yourself, allow others to be themselves, and see where the cards fall. Not everyone has to do business with you and vice versa. I have a very nurturing, loving soul and a loyal, reliable, fair business manner but also with that comes a very dry and blunt sense of humor. That is NOT for everyone! 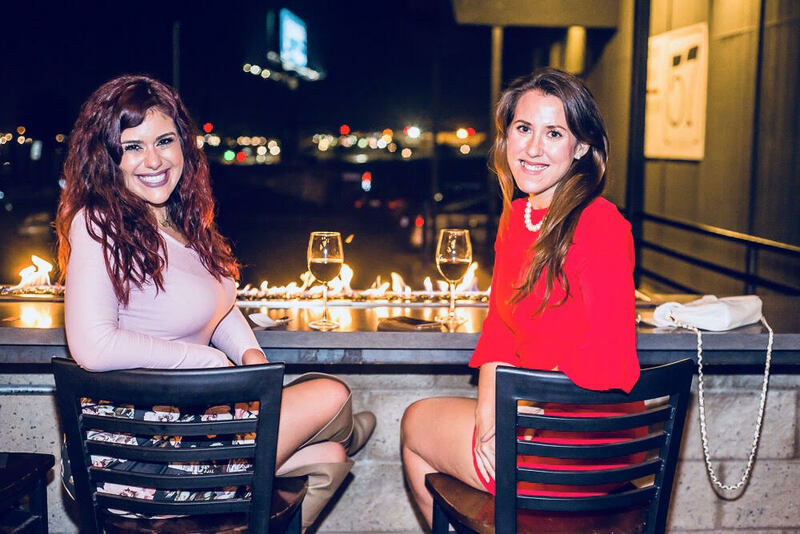 Being a Northeast gal, most people from that region totally get me and enjoy the banter that comes with doing business with me and my San Diegans are pretty great about jumping on board as well. With staying true to myself, however, it has allowed me to quickly and deeply develop lasting relationships both personally and professionally. People know what they are going to get and who they are doing business with from the word “go” and I think a lot of folks really appreciate that. Visit www.namasteanywhere.com and follow @namasteanywhere on Instagram for frequent updates on our upcoming exotic international wellness retreats. Namaste Anywhere® can customize a wellness program for your company that fits your needs and budget. Contact info@namasteanywhere.com. For SD Voyager readers, Namaste Anywhere® will offer 1 complimentary corporate yoga or meditation class on-site at your place of business. Contact info@namasteanywhere.com to redeem.